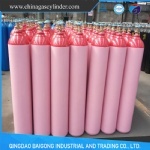 We have two invested companies and 3 manufacturing plants which makes us could supply wide range of gas cylinders, such as seamless steel gas cylinders, aluminum alloy gas cylinders, acetylene cylinders, CNG cylinders (Type 1 & Type 2 & Type 3), LPG cylinders, Liquid Chlorine Cylinders and Liquid Ammonia Cylinders, etc. 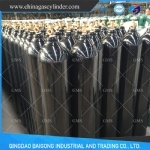 All the Seamless Steel Gas Cylinders we supply can be produced mainly according to GB5099 standard, ISO9809 standard and En1964 standard, the Aluminum Gas Cylinders are produced according to GB11640 standard and the Acetylene Gas Cylinders are produced according to GB11638 standard. 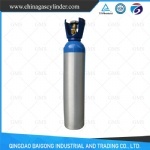 Our gas cylinders are widely applied to many industries such as chemical, medical, pesticide, metallurgy, paper industry, rubber, plastic, textile, printing and dyeing, food, water purification, light industry, electricity, fire-fighting, and automatics. 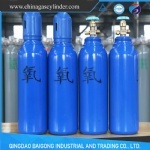 Also we could supply all kinds of industrial gases such as oxygen, nitrogen, ethyne, helium, argon, carbon dioxide, hydrogen, cutting gas, ammonia, condensed air and high purity gas, standard gas, mixed gas, lab gas, liquid gas,etc. 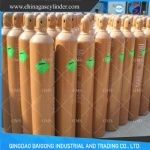 which makes us could export both empty gas cylinders and cylinders filling with gas. 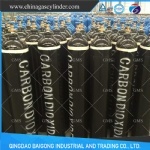 Our products have been exported to many countries in Asia, Africa, Mid- East, Europe and South America, etc. 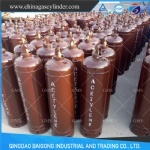 With excellent quality and professional service, our company has earned a good reputation in the professional field. 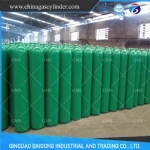 Besides, we are also definitely focusing on optimizing production and operation. 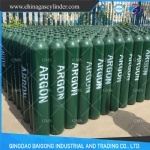 What remains the same is our ability to find the best, most innovative solutions and to turn them into market successes - creating customer benefit and increasing Company value. 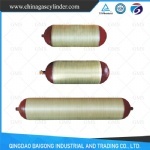 We sincerely hope to build business relationships with customers around the world and also would like to invite you to visit our factory at your convenient time.